3:00 PM Arrive at Elk Mountain Ranch. Unpack and relax. 5:00 PM A guided hike. 6:30 PM Supper in the Lodge and our Colorado Guest Ranch Welcome Program. 8:45 AM to Noon Horse Orientation and Trail Ride. 12:30 PM Lunch at Ranch Picnic Area. 7:30 PM Hayride and Campfire. Enjoy s’mores, popcorn & cocoa. 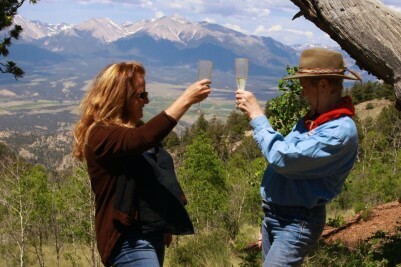 time for a hike, fly-fishing clinic, massage or a soak in the jacuzzi. 9:30 AM-1 PM Ranch Vehicle Trip to Brunch Cookout. 7 PM Our Colorado Guest Ranch Square Dance and Line Dance. 10 AM-5:30 PM White-water Raft Trip or Trip to Hot Springs Pool & Water Slide. 11 AM-3 PM Luncheon Trail Ride. Evening Sit, relax and enjoy our local entertainment. 10 AM to 3 PM Luncheon Cookout Trail Ride or Van to Lunch. Back in time to hike, bike or relax. 10:30 AM-4 PM Vehicle to higher mountain lake for a day of fishing. terrific scenery and shopping in our most famous ski town. 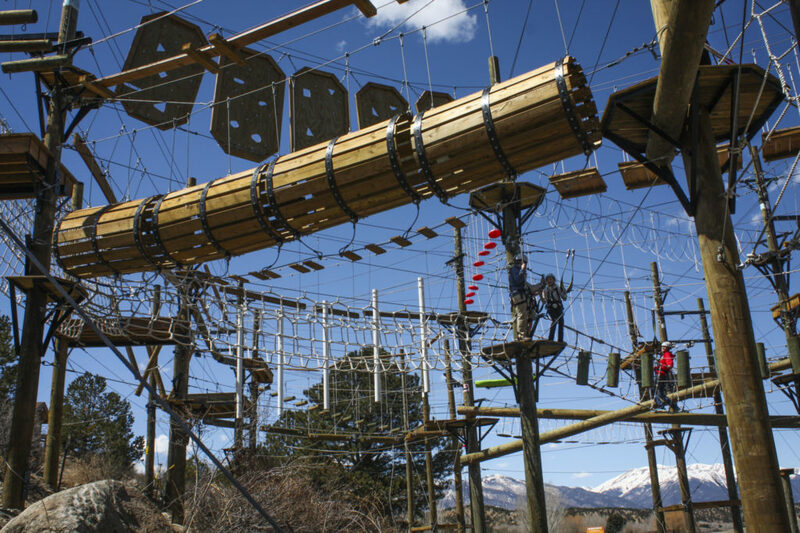 10:30 AM Excursion to Browns Canyon Ropes & Adventure Park. 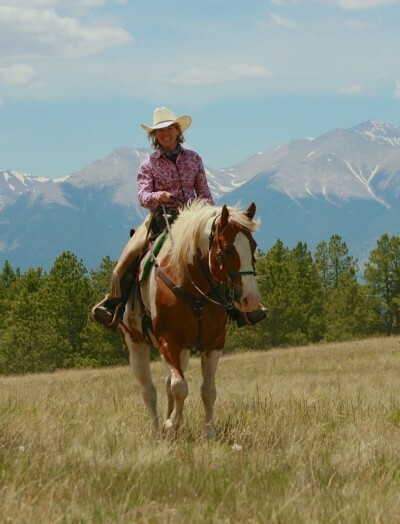 11 AM-3:00 PM Luncheon Trail Ride. 7:30 PM Volleyball – dress crazy; play hard. 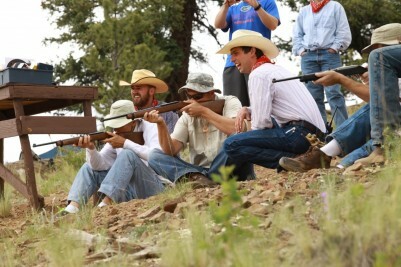 9:30-11:30 AM Trail Ride or Trapshooting. arena events. Lots of fun for everyone. 7 PM Country Candlelight Dinner. Evening Presentation of Awards. Evening is yours to relax. 10 AM Happy Trails: Checkout from our Colorado Guest Ranch.